Whether reusing your SnapCrate or just shipping it one-way, its design and durability can reduce your packaging costs, reduce your labor costs, reduce your tool costs, reduce your disposal costs, reduce your warehouse costs, and reduce your product damage. Of course, the benefits don’t stop at savings! SnapCrates are eco-friendly, domestically sourced, made in the USA, and rated for export. 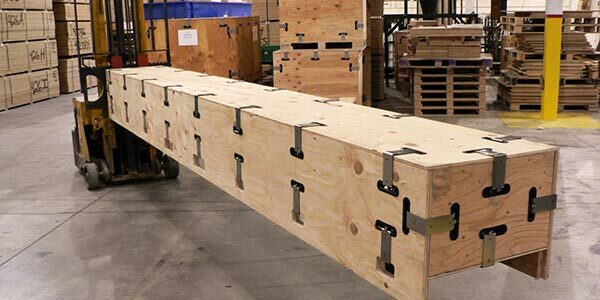 Our in-house engineering team can create the perfect custom crating solution for you, from odd-shaped or oversized crates to custom packaging dunnage. If you’re still not convinced, listen to our very satisfied customers. There's only one SnapCrate. Find out what sets us apart from our competition.